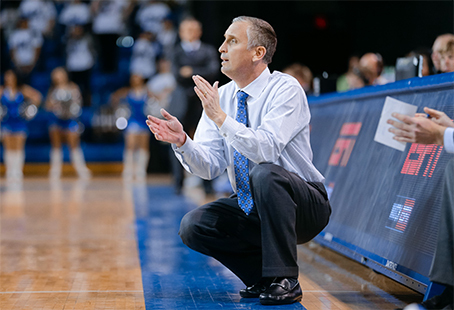 When Bobby Hurley was named head coach at Arizona State in April, he wasn’t one of those hires that made you go, “Who?” Everybody even remotely interested in college basketball surely knew of the former Duke point guard who helped lead the Blue Devils to back-to-back National Championships as a player and then turned around a Buffalo program in just two years as head coach. “It clicked to me when I saw the (ESPN 30 for 30 documentary) on Christian Laettner, and he was the point guard on that team,” ASU senior Gerry Blakes told Doug Haller of the Arizona Republic. In the world of recruiting, that is something that often happens. Kids who were born near the start of the 21st century are not always aware of what happened in the 20th century. So, no matter what your name, you need to work on the recruiting trail, especially in a part of the country where you did not make your name. If the commitments already received by the ASU staff are any indication, Hurley has again met the challenge and succeeded. ESPN ranks the Sun Devils’ 2016 recruiting class at No. 16 nationally, by far higher than any recent ASU class. Headlining the commitments are 6-6 Sam Cunliffe, a wing player from Seattle who ESPN ranks at No. 38, and 6-10 Dallas native Jethro Tshisumpa, a 6-10, 260-pound shot blocking and rebounding machine who is rated No. 83 by ESPN. In addition, according to Adam Zagoria of ZagsBlog.com, the Sun Devils are the overwhelming favorites for Thon Maker, a 7-0 shot-blocking, shot-altering center from Ontario whose physical make-up has been compared to Kevin Garnett. Should Maker sign with Arizona State, the Sun Devils will move up the ESPN team rankings. If recruiting is the lifeblood of a basketball program, then Hurley has already pumped new life into the Sun Devils.